Are you using a Vodafone smartphone or tablet? 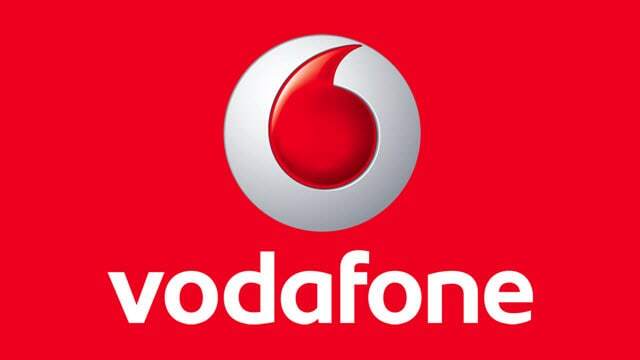 Are you searching for the stock ROM firmware for your Vodafone device? If yes is your answer for both of these questions, then you are in the right place. Here you can download Vodafone stock ROM firmware for all models. If your Vodafone device is bricked or corrupted, download Vodafone stock firmware from here (based on the model number of your device) and flash it on your smartphone or tablet to get it back to a working condition again. 1) All the stock ROM firmware files given here are officially provided by Vodafone Group. So, if you encounter any inconvenience while flashing firmware file on your device, contact their support team. 2) If you are looking for an easy way to connect your Vodafone device to a computer, download Vodafone USB driver and install it on your computer. 3) Can’t find the stock ROM firmware file for your Vodafone smartphone or tablet on this page? Let us know by leaving a comment below. 4) After flashing stock ROM firmware file on your Vodafone device, please ensure that you flash the original IMEI using an IMEI tool. 5) Get rooting tutorials, TWRP recovery flashing tutorials, etc., for your Vodafone device by leaving a comment below. a ROM do VFD100 esta pedir password ao descomprimir…. como posso ter o codigo???? I download Vodafone_Smart_Speed_6_VF795_MT6735_5.1_ALPS.L1.MP3.V2.57.zip and this file is password-protected. How can I find my password? I download Vodafone Smart Tab 3G Stock ROM Firmware zip and this file is password-protected. How can I find my password? Do you have VF-1497 Ron? Hey do you have it for VFD 900? I download Vodafone_Smart_Tab_3G_MT6582.zip and this file is password-protected. How can I find my password? Can I have Vodafone VFD 210 firmware? Hi can you help me root my vfd 1100? Cual es la contraseña para descomprimir el winrar Vodafone_Smart_Turbo_7_VFD500_MT6735M_V2.39.1_6.0. Gracias. I am downloading the ROM for VFD200 and want to know if it is password protected and what the password is thanks. Hi, I’ve downloaded rom for “Vodafone VFD500 Stock ROM Firmware”, would you send the password, please. Hi, I need firmware for Vodafone Smart Tab 4G but I cant see it there. Is there any firmware for this device? Do you have Rom for VFD510? I download Vodafone VDF 600 Stock ROM Firmware zip and this file is password-protected. How can I find my password? Boa tarde firmware vodafone smart prime 7 vfd600 por favor com linguagem pt-portuguesa. I need Vodafone VFD 900 firmware, my device is stuck on a bootloop, wont restore from recovery mode, wont do a successful reset. vodafone smart tab 4g firmware password plase? I need too, did you find it? Hi I need firmware for vfd 513 please. ok that will be helpfull….. i will really appreciate that… waiting for response…thanks.! Hi, have the same issue. Did you receive any help?